Has your book club ever had the opportunity to speak directly with the author of a monthly pick to discuss the motives and themes behind the story? I love chatting with book club readers. If your group is ready for a breezy read with a little travel, a hint of spice, and a lot of fun, I will attend via Skype to answer any and all crazy questions you have about Cuba, traveling solo, foreign flings, or writing. I’ve attended local book club meet-ups and I highly recommend a Cuban themed party— maybe mojitos and some Buena Vista Social Club musica. It makes for a great night. Book a visit at destinoex@aol.com. For clubs in and around Calgary, I’ll happily make a in-person visit. Some girls have all the fun. Calgarian writer Wanda St.Hilaire has taken her passion for travel, especially to Spanish-speaking countries, and has given readers an opportunity to experience Cuba from an original and spirited perspective. In the infancy of Cuba’s tourism, St.Hilaire takes a trip to the tiny island. In spite of her love of all things Latin, she puts herself on a travel ban to Castro’s Cuba, one that lasts twenty years. In The Cuban Chronicles, St.Hilaire’s travelogue/memoir, she describes that underneath the façade of Cuba’s tourism lies the desperation of a society living mostly in abject poverty. When tourists mingle with locals, we get a glimpse of what underlies the frivolity of Cuban entanglements. St.Hilaire speaks with an authentic voice and doesn’t mince words; she recounts her own activities, emotions and opinions with refreshing honesty. The author is a natural storyteller and her vivid descriptions of people and her surroundings make Cuba come alive for the reader. Being an epistolary composition (the book is based on a series of letters to a friend in Paris), the author’s tone is warm and confidential, and peppered with touches of humor. Think Eat, Pray, Love meets Bridget Jones’s Diary with a dash of cayenne! Book was awarded Editor’s Choice and Rising Star (iUniverse). Thank you for your consideration of my book. 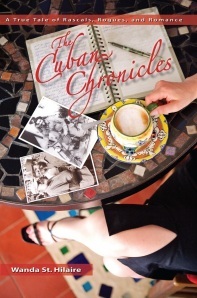 If you choose The Cuban Chronicles, it would be much appreciated if your book club members buy the book from Amazon’s CreateSpace (better royalty!). Please buy here. Otherwise, it is available at Amazon here. Contact me at destinoex@aol.com to book now. 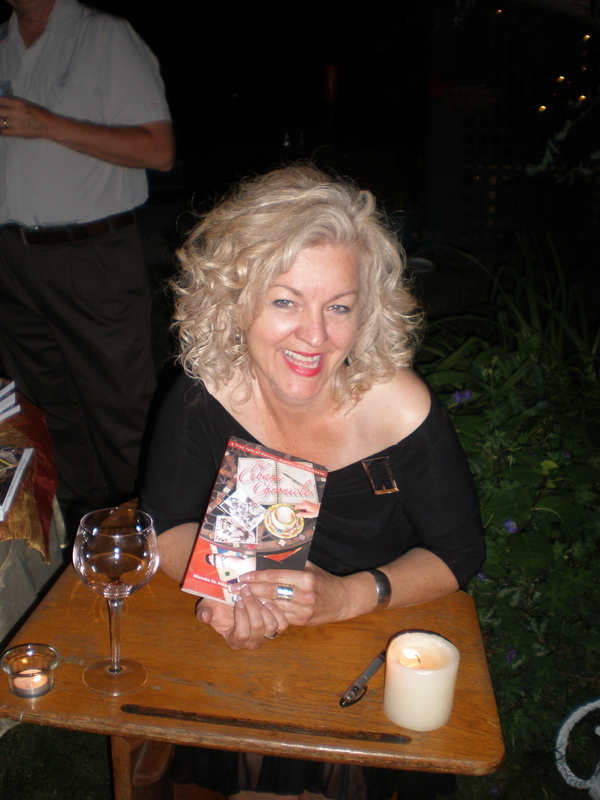 Book clubs in Calgary and area can book a live visit!